Forty-two states have poet laureate programs—the oldest, California’s, began in 1915. Louisiana established its poet laureate position in 1942; its first designee, Emma Wilson Emery, held the position from 1942 to 1970. 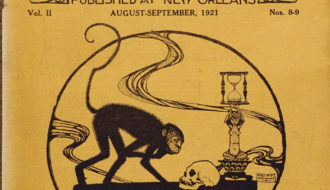 The Louisiana selection process, conducted through peer review since 2005, is governed by a statute that requires the Louisiana Endowment for the Humanities (LEH) to appoint a committee composed of two published poets who live in the state, two professors of literature from a state college or university, two representatives from LEH, and a representative from Louisiana State University Press. After deliberation, the committee submits three names to the governor, who chooses one to serve for a term of two years. The poet laureate’s sole required duty is to present one public reading a year, but Bourque viewed the title as something of a bully pulpit for promoting the art form throughout the state and beyond. 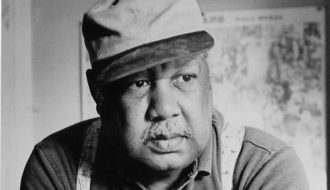 “Being poet laureate gives you opportunities to have conversations with people who would not ordinarily be talking about poetry,” he said in an interview for Louisiana Cultural Vistas magazine. Bourque’s early years did not suggest that he would become a poet. Born on June 2, 1942, to Odon and Anna Lee Daigle Bourque, he grew up in rural Church Point, Louisiana, on the Cajun prairie. There, he lived in a family neighborhood surrounded by aunts, grandparents, cousins, and siblings, nearly all of whom spoke French as well as English; the adults turned to French for conversations with each other, including exchanges with neighbors, but spoke English to the children. Only his great-grandmother, with whom Bourque lived for a time during his high school years, refused to speak English and used French when addressing the children. 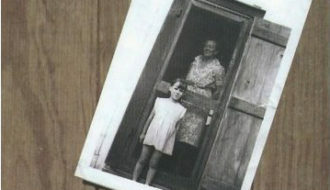 The family lived on Bourque’s grandfather’s property and had limited access to books, education, and art. When Bourque graduated from high school, he realized that he would have to orchestrate his own life: his parents had no expectations for him to fulfill, and there would be no help for him to go to college. He was on his own to figure out what the rest of his life would hold. 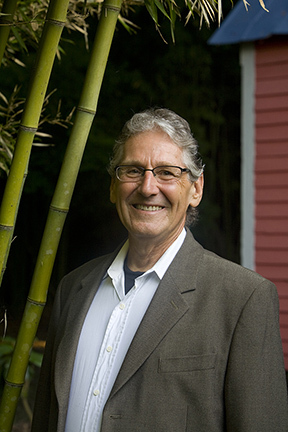 Looking back, Bourque saw the limited academic resources of his childhood as fortuitous because his hunger for literature, music, and travel forced him to reach beyond the comfortable environment of home and family to find them. He credited the rich cultural environment of his early years with giving him the courage to pursue what he wanted. He entered the University of Southwestern Louisiana (USL, now the University of Louisiana at Lafayette [ULL]) as an architecture student, but his love of reading drew him to the liberal arts and eventually to English. With his change of major, Bourque found himself caught up in the English department’s intense interest in drama. When he did get around to writing a poem, it was not by choice; it was as a classroom assignment to compose a lyric poem modeled on those of William Wordsworth. After earning a bachelor’s degree in English in 1965, he continued his work in drama through his master’s degree, even writing for his thesis a comic adaptation of Dryden’s tragicomedy The Spanish Friar, a play he eventually staged with the Lafayette Little Theater. He was awarded his master’s degree in English from USL in 1968. Bourque might have stayed with drama had it not been that Florida State University (FSU), where he went to work on his doctoral degree, had few courses in the subject. The university did have courses in creative writing, though, and Bourque enrolled in them and began to write poems despite his initial intent to focus on literary criticism. When he ran into problems with his dissertation director, he returned to Lafayette with a five-year deadline for completing the degree. In the fifth year, just as the time limit was approaching, FSU instituted a creative writing degree, and he submitted a volume of poems for his dissertation. It was composed of pieces begun in classes at FSU as well as others he had written in his five years away from campus. Van Brock, his new dissertation director, would later include Bourque’s first published poem in an anthology. In 1981 his doctorate was conferred by FSU. With degree in hand, Bourque returned to ULL, where he eventually became professor of English and served as department head, coordinator of interdisciplinary humanities, director of creative writing, and even director of freshman English. He continued writing poems, eventually publishing five volumes of his works: Plainsongs (1994), The Doors Between Us (1997), Burnt Water Suite (1999), The Blue Boat (2004), and Megan’s Guitar and Other Poems from Acadie (2013), plus collaborative works with poet Jack Bedell, Call and Response: Conversations in Verse (2010), and artist Elmore Morgan Jr., Where Land Meets Sky (1999). 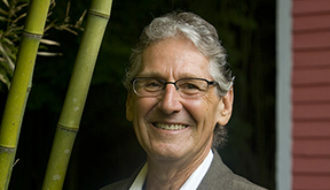 Bourque is a founding member and sits on the advisory board of Narrative4, a Chicago-based international story exchange project dedicated to social change. The group’s mission is “fearless hope through radical empathy.” He is vice president of the Ernest J. Gaines Center Board at ULL. He also is a steering committee member for the New Acadia Project, an effort aimed at locating the “camp” sites of some of the first deported Acadians who settled in Louisiana in 1765 in the Loreauville/New Iberia area. Many of Bourque’s poems begin to form while he is on his morning run near his home in Church Point, where he lives with his wife, Karen Gonsoulin Bourque; the couple have been married since 1969 and have two daughters. As a lifelong practice, his running has a meditative as well as a physical dimension for him. Like Wallace Stevens, who composed poems as he walked to and from his work at an insurance office, Bourque waits for the physical exercise to suggest the poem. And because he runs on the same property where he played as a child, crossing from one boundary of his grandfather’s land to another, past the houses and borders he has known so long, memory springs to life. The mind is put at ease. A poem begins to form. About half of his poems result from the workshops and writing retreats he leads. Although he follows no single agenda, he will typically begin a session by talking about a poetic form, perhaps the villanelle or the sonnet. Sometimes he begins by reading a passage from an exotic source that he then makes relevant to the writers’ own lives. To spur creative thinking, Bourque often asks students to build a word bank—usually by drawing words from the dialogue or items in a film the group has watched earlier—which the students then use to craft into poems. Unlike some writers, Bourque does not regularly keep a journal or record a daily set of reflections, but there are always writing materials close at hand—a pen, a notebook, a small pad standing ready for an observation or an overheard remark to be noted. Books are always around, too, as Bourque is an avid reader. And when he is not reading, writing, or teaching, he enjoys watching films. He believes that the rich literary talent in Louisiana, like any resource, needs to be conserved and sustained. He points out that the state’s writers are deeply committed to their art, but many of them find it necessary to work elsewhere. Because native talents have had to move to universities in other states—teaching positions in Louisiana are limited—and poetry alone rarely supports a family, Bourque makes a point of supporting new homegrown writers and celebrating established ones. Dobie, Ann "Darrell Bourque." In https://64parishes.org Encyclopedia of Louisiana, edited by David Johnson. Louisiana Endowment for the Humanities, 2010–. Article published September 16, 2013. https://64parishes.org/entry/darrell-bourque. Bourque, Darrell. Megan’s Guitar and Other Poems from Acadie. Lafayette: University of Louisiana at Lafayette Press, 2013. Bourque, Darrell. Burnt Water Suite. San Antonio, TX: Wings Press, 1999. Bourque, Darrell, and Jack B. Bedell. Call and Response: Conversations in Verse. Huntsville: Texas Review Press, 2010.